A new type of foot race. There is no course and no markings- you have a set of detailed trail maps, and a choose-your-own-adventure set of goals. You can find 10+ beautiful remote checkpoints; or bring back the most vertical gain; or simply enjoy a supported trail exploration day. Make what you want of it! A handful of aid stations and food boxes enable you to span multiple parks and 120+ trails in the rugged Catoctin mountains! Choose from 14 hrs or 6 hrs in length, with no requirement to stay out for all of those hours. A focus of this event is exploring the pure beauty of this area. 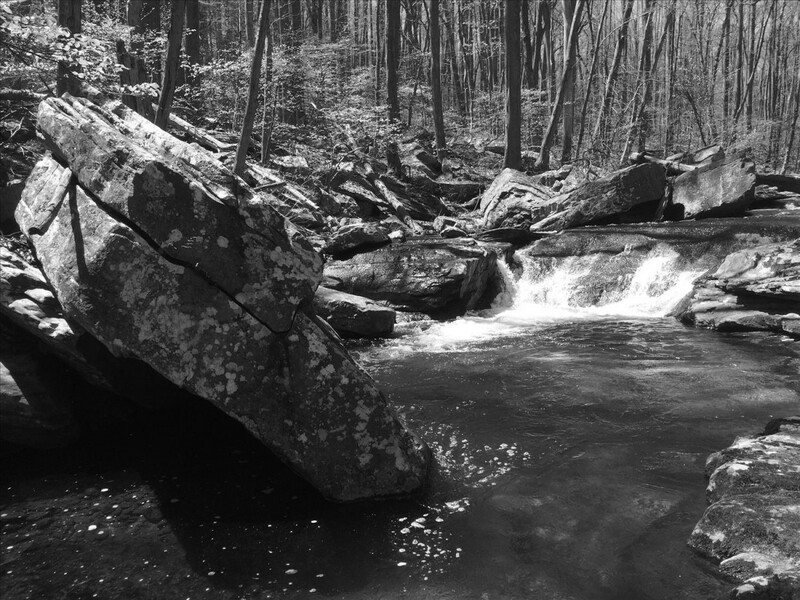 From rock-scrambling waterfalls to moss-covered cliffs and breath-taking views of the Frederick farm valley, we advise visiting the various bear-box checkpoints along your way, assuring that you are not robbed of the best spots in the park! Hand-made awards will be given to those that find the most bear-box checkpoints or log the most vertical gain. There will be some rules in place to discourage repetitive hill repeats, road usage, etc. Those new to the area or trail navigation have trails close to home base that you can stick to and not get lost. Those who crave more have a complex web out further. Maps will be provided. Safety plans are in place. It's an expanse, and you'll feel "out there," but it's still relatively safe.